After lengthy speculation, it's been confirmed that UFC has found a new home on sports streaming service Eleven Sports. The new broadcast partnership for the UK and Ireland starts in January 2019. 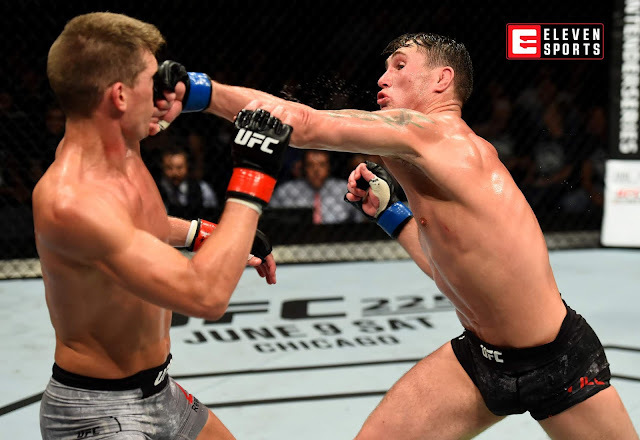 Eleven Sports has secured the rights to all 42 live UFC events in 2019, as well as over 150 hours of UFC original and archive programming in a multi-year agreement. UFC Fight Nights will be shown live on the service, whilst it has been given the option to make some events available in partnership with other broadcast platforms. Fight Nights that are shown live will also be available on demand in full after the event. An Eleven Sports Monthly Pass is available for £5.99, whilst an Annual Pass can be secured for £59.99. The service can be accessed at www.elevensports.uk and via Android and iOS apps. Via Chromecast, Eleven Sports can be shown on traditional TVs, carriage via traditional pay TV operators isn't currently available.